Behind the Music: Save the Music Programs! 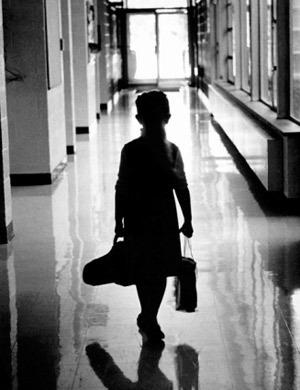 School districts across America are facing budget cuts in the current economic crises, and in many schools, music education is being cut as part of an effort to distribute dwindling resources. 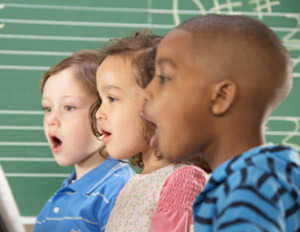 With music programs in jeopardy, an increased number of children will not have the opportunity to play the trumpet or sing second soprano in the school choir. The result is a generation that will miss out on the multiple benefits of not only studying but also learning music. In this climate, the curriculum of The People’s Music School in Chicago is a beacon for free music education. Placement in the privately-funded school is in high demand. Families camp out for days at a time to vie for a spot for their children. The school is a rare haven for free education, but cannot replace the scope programs across the city of Chicago. But the academic, artistic and social benefits of music education are well documented. The study of music increases matriculation rates. Scott Robertson is Director of Marketing and Communication for National Association of Music Merchants (NAMM), an international organization of about 9,000 mom and pop music storeowners, with headquarters in California. “The access to education that includes music is a right stemming from decades of research that show that kids who study music do better in school and what they are going to pursue for the rest of their lives,â€ Robertson says. Exactly how many programs have been cut is difficult to gauge without a conclusive survey, and the scope of existing programs vary across the states. “It’s hard to tell what’s happening across the country, it’s a district-by-district problem,â€ Robertson says. “We try to put information in the hands of local advocates, folks that school boards listen to.â€ NAMM set up a website, supportmusic.com, with a monthly conference call for nationwide discussions of challenges faced by school music programs. While school districts struggle, local advocates have saved some music programs. Communities tend to support music programs. A Gallup poll conducted by NAMM indicates that more than 90 percent of Americans agree music is part of a well-rounded education. Several non-profit organizations are working to reverse the trend of cutting music education, including The Mr. Holland’s Opus Foundation and the VH1’s Save the Music Foundation.